We stood on the edge of the canyon and looked down into the striations of orange, red, and indigo. For the first time in our lives, we imagined that we could comprehend a million years, comprehend the concept of time, vast time, and perhaps even glimpse eternity. But soon we were jostled from our viewing point by the next load off the shuttle bus. The tourists elbowed and shouldered their way to the promontory eager for the best view of Arizona's pride, the Grand Canyon. Each year, millions of Americans dust off their hiking boots, tuck away their penny loafers and head to national parks just like this one. Why? Keats once told us that beauty is truth, truth beauty. Perhaps this brings us to our first reason. In parks like the Grand Canyon, we can glimpse the beauty of nature and come a little closer to the truth of our universe, the core of our existence. Additionally, we have a respect for nature and a pride in our landscape deeply woven into our culture. According to biographer Edmund Morris, the first president of the twentieth century, Teddy Roosevelt, kicked off our last centennial by creating five new national parks, eighteen national monuments, and millions of acres of national forest. He was often photographed on his horse, and we think of him as an adventurer galloping and conquering across the land. Hollywood too has contributed to this romantic vision of the outdoor adventurer. From John Wayne to Clint Eastwood, we admire the cowboy hero who lives off the land. When we visit the great outdoors, we can imagine that we too are a part of that heroic tradition. Lastly, as victims of the industrialization and capitalism of America, we are overworked and overstressed. A trip to our national parks helps us to slow down-even if we are fighting the growing crowds-and leave behind the worries of work. 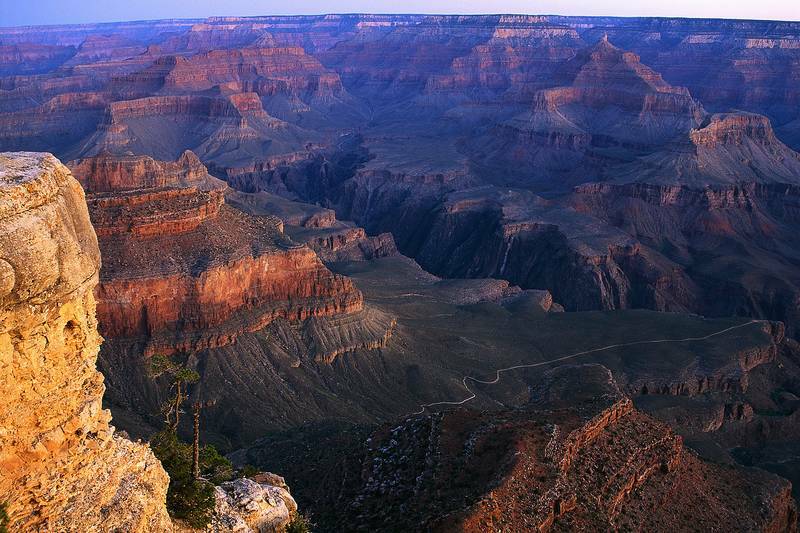 National parks like the Grand Canyon are part of our popular culture. They attract millions and dominate our daydreaming moments. We long to visit them and keep them with us long after we have returned to our daily commute. We need them to keep us splashing through mud puddles, pushing through traffic, and facing our workload. We need them to inspire our creativity and banish our doldrums. In short, we need them to keep our sanity in a mad and maddening workplace.